A variation of an old adage is well-spoken: happy wife equals happy life. But, no relationship is perfect, and marriages are not one-dimensional. What about marital relationships that are lukewarm? 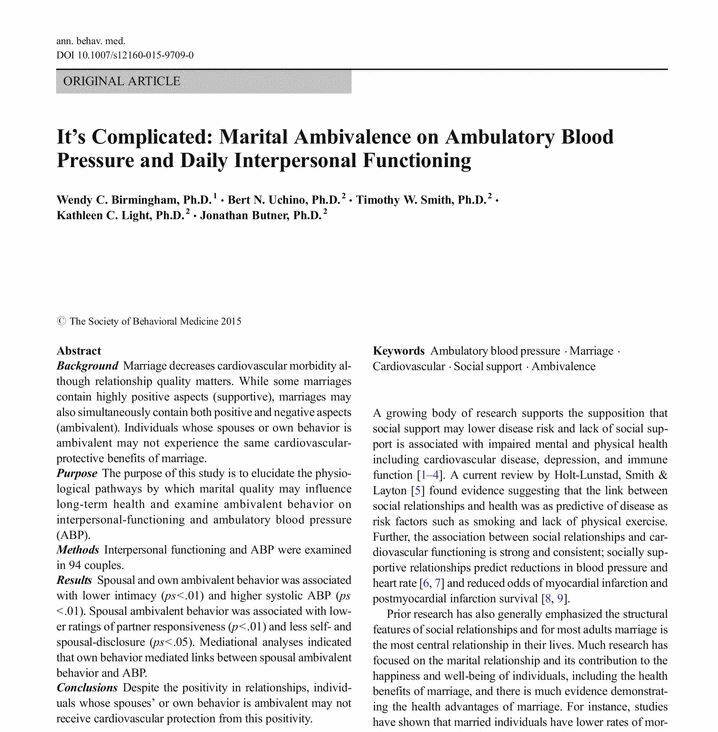 BYU FHSS psychology professor Wendy Birmingham and four of her colleagues published a study in the Annals of Behavioral Medicine that suggests that ambivalence plays a role in both the health of a marriage and the physical health of those in marital relationships. What should young adults seeking a good marriage or a good marriage partner do? Marriage is not necessarily a cure-all to pre-existing problems. 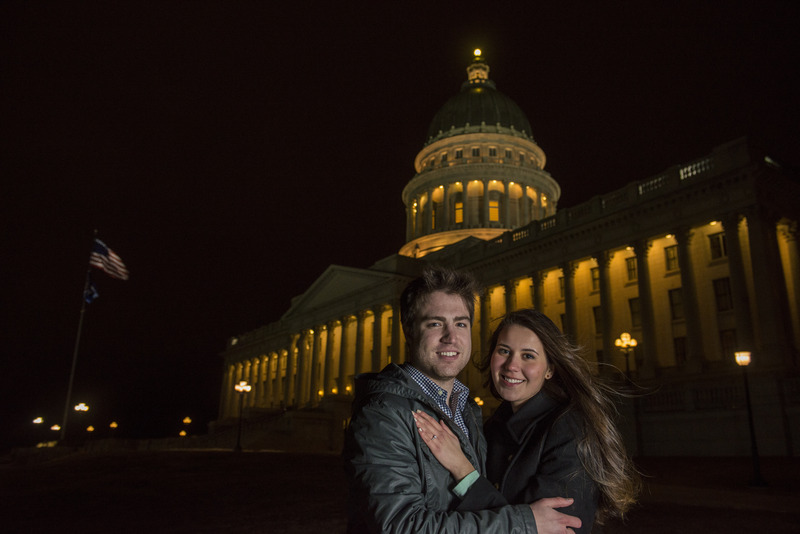 Brigham Young University student Caroline Belnap met her future husband in New York City after he moved there for work. They married in July of 2014. For her, marriage came when she least expected it–when she wasn’t seeking it out. She observed that issues one might have before marriage, whether it is regarding body image or self-confidence, don’t necessarily go away after one is married. A Cinderella-style courtship does not guarantee an automatic happily-ever-after. Whether you anticipate marriage or are newly-married, you might be riddled with emotions and feelings ranging from doubt to confidence, exhaustion to elation and even bliss to anxiety. 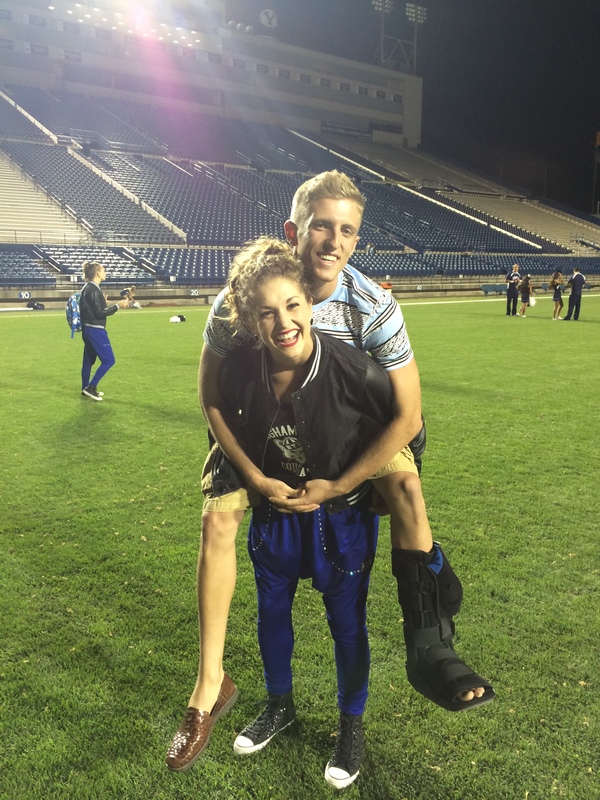 Mark Butler, Professor in the School of Family Life at BYU says that emotions play a central role in the strength of relationships. How do you prepare for a good marriage?